I am excited to show you some super cute new Matched Kits (patterned papers, coordinating cardstock and more from TE), dies and new super cute stamps! To start of release week - I made my first project using the Little Bits: Stamp of Approval dies. The Little Bits dies are a super cute collection of little dies and this Stamp of Approval set comes with a little postage stamp die, and some little hearts, flowers and star dies for decorating your card. 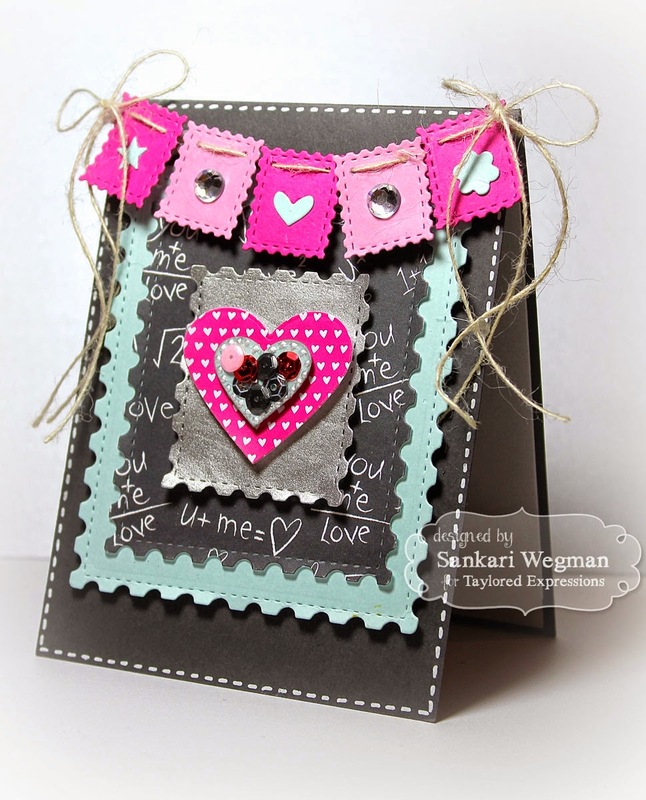 I created a banner using the the Little Stamps of Approval dies and used the Postage Stamp stacklets dies to create a layered look for the card. 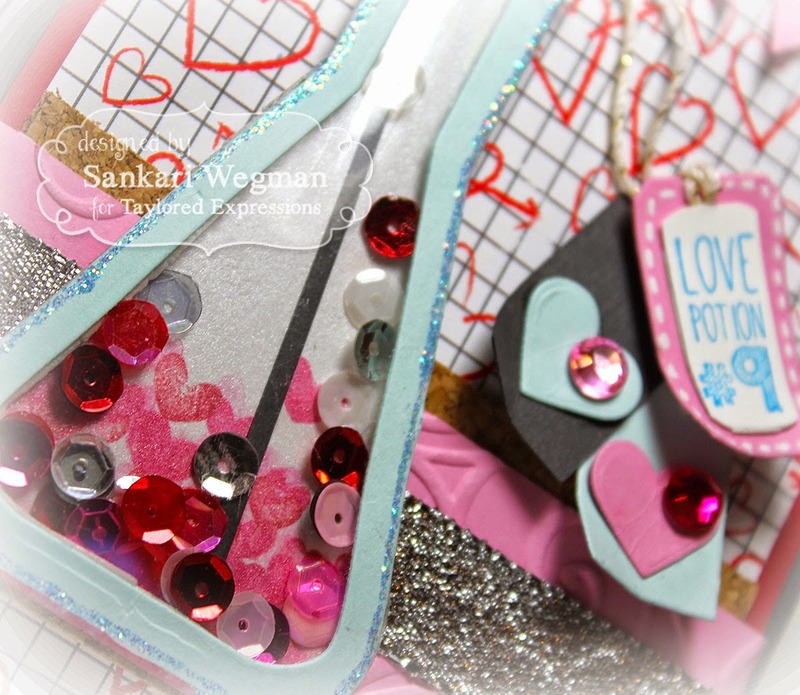 The card front and inside are blank and can be used for any occasion - birthdays, anniversary, valentines, friendship, thinking of you, teachers cards - so many possibilities! 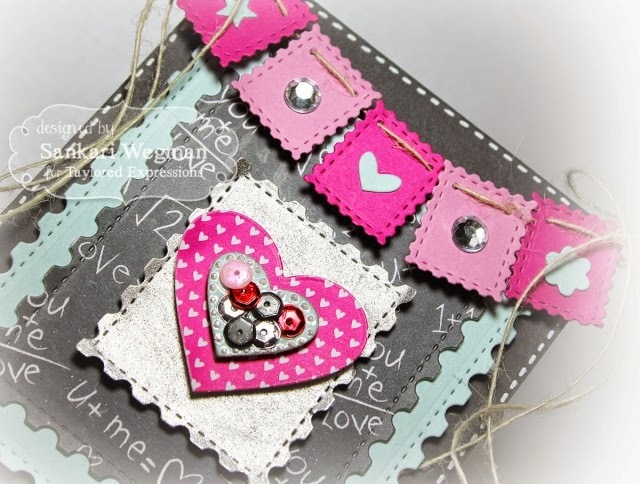 Here is a close up of the banner created by the Little Stamps of Approval dies - I threaded the twine through the ends of the dies and then tied bows on either side. 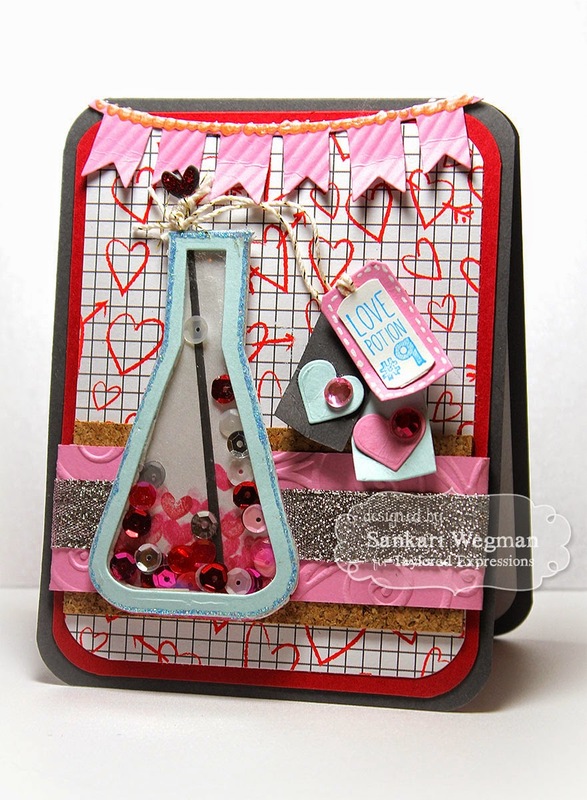 For my second card, I created a shaker card using the Chemical Reaction dies that creates this super cute beaker! I added some little heart stamps to the beaker from the Beaker Buddies stamp set which has some super cute stamps that is so fun to use with all these stamp sets! Thanks so much for stopping by today! Please head over to the TE Blog for more details and hop over tomorrow for more sneak peeks! Great projects. Love your beaker card a lot. So cute - love the hearts and the sequins. Wow! Your cards are absolutely stunning. I love all these coordinating dies, stamps and papers. Stinkin" cute. Both of them. Love how you used the little bits postage stamp as a banner. What fantastic crafted cards you shared today! Love that test beaker die! So cool!